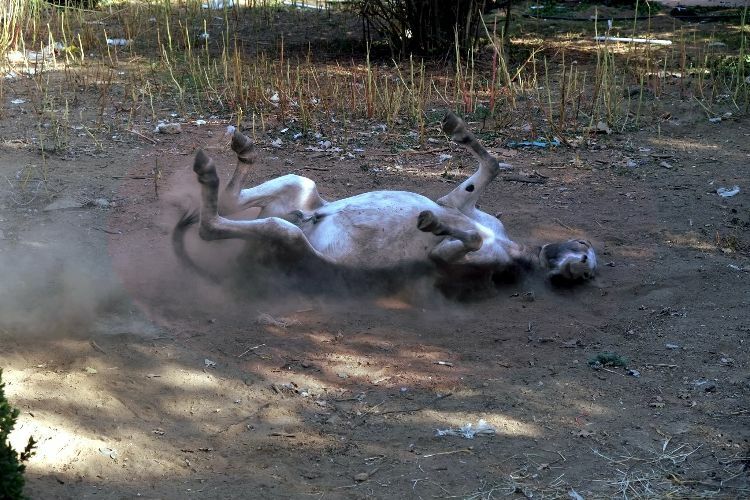 From the moment she was born, Kolima was at a disadvantage. The Anatolian Shepherd was born with wobbler syndrome, a neurologic disease that impacts a dog's spine in the next area. Wobbler syndrome causes Kolima to walk with a shaky gait, and it's painful for her to stand. Felice Caputo, the owner of Kolima and Paolo, said "After an initial moment of indifference, Paolo saw Kolima's difficulties and took her under his wing. The only time of day Kolima finds the energy to stand up and play is when I take her to Paolo." 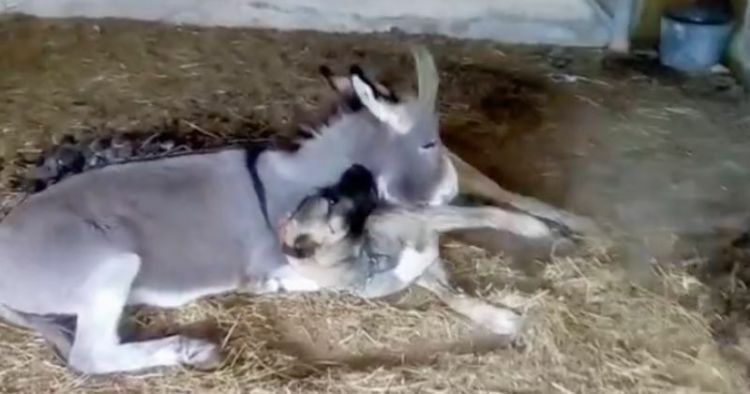 Caputo has described Paolo as a grouchy yet "mischievous and stubborn" donkey and admits that she was somewhat surprised at how willingly Paolo became friends with Kolima. 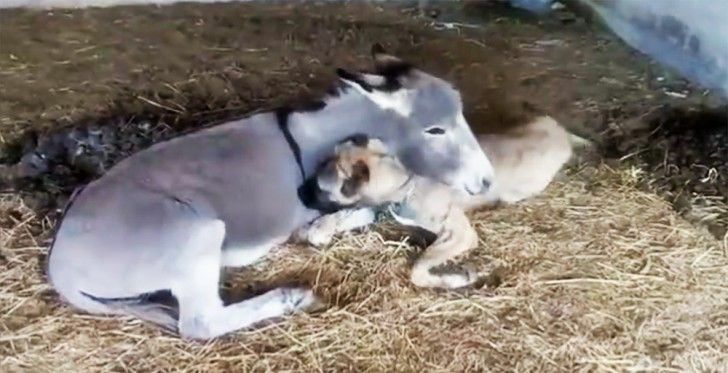 "I thought I adopted a puppy," Caputo said, "but every day it becomes clearer that she was adopted by my donkey." Paolo noticed that Kolima was alone and unable to play with other dogs, and her friendship has completely changed Kolima's life. The two best buddies can often be found playing in the grass, in the hay, or lounging around just enjoying life together. 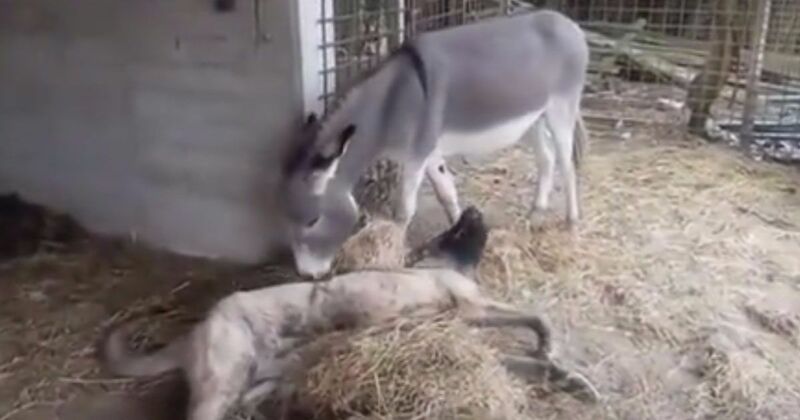 Watch the video below of the bond between Kolima and Paolo and celebrate in their friendship. Be sure to share their story with your friends and family on Facebook!